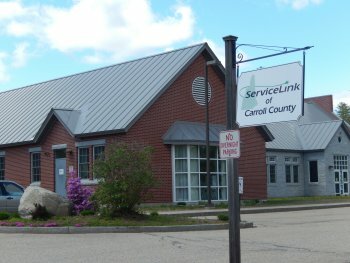 ServiceLink of Carroll County is a program sponsored by a contract between Lakes Region Partnership for Public Health and the NH Department of Health and Human Services. We are located in the Tri-County Cap Office Building between Ossipee and Conway. There is never a fee for ServiceLink services or eligibility requirement. "Staff are very helpful, friendly and thorough!" "I was sent a wonderful and informational package which we expect to come in very helpful." "I have used ServiceLink several times over the past three years and they have helped me a lot with Medicaid and Medicare assistance. I have referred many people to ServiceLink." "Excellent as always to deal with"